Asparagus is a popular spring superfood packed with good vitamins and minerals. The vegetable helps flush excess fluids from your body, fights damaging radicals, and strengthens your immune system. Although asparagus can make your pee smell, it also acts as a natural aphrodisiac due to vitamin B6 and folate. Most recipes for asparagus have you break off and discard the tough or woody ends of the asparagus spears. 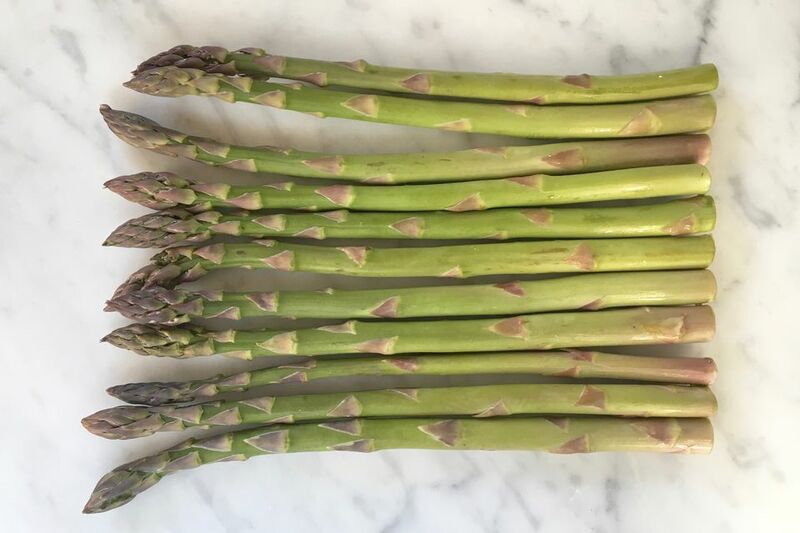 While that's a quick and easy way to trim asparagus—and ensure what ends up on your plate is pleasantly edible—a tiny bit more effort will allow you to eat most of the stalk and have a more elegant and presentable dish. Peeling asparagus doesn't just make it prettier—it also makes more of the stalk tender and edible. If you have a bit of extra time, it's the best way to prepare asparagus to eat. 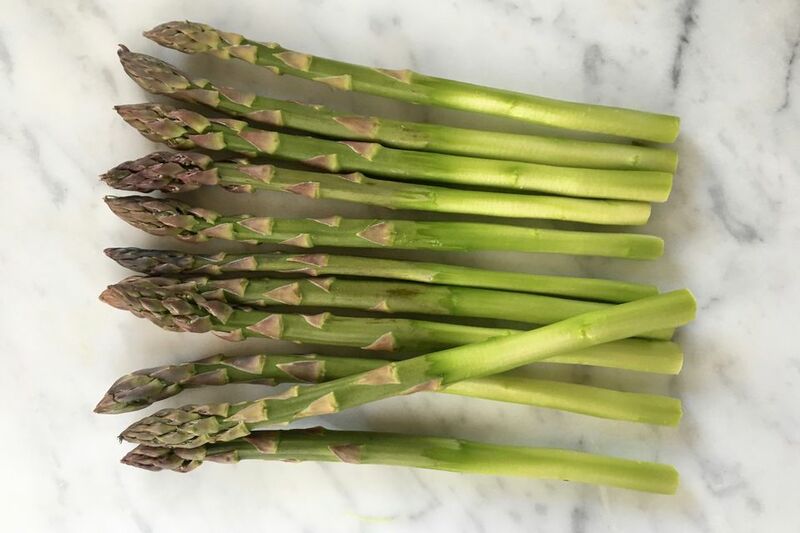 Even if you plan on whirling the leafy vegetable in a soup or throwing it on the grill, peeling the asparagus will put more spears into your food and less of them in the trash. No matter how you prepare it, it's vital that you start with fresh asparagus. Look for firm spears with fresh ends along with tight and compact heads. Eschew any mushy or wet-looking tips, and be sure to avoid asparagus with cut ends that look too dried out or have cracks. Like most produce, you want asparagus that feels relatively heavy for its size. To trim the stem ends, line the asparagus up so that the ends are even. Then use a sharp knife to cut off the bottom inch or so of the asparagus spears. You'll want to get rid of the cut part of the asparagus that has dried out since it was harvested. If you're lucky enough to have asparagus that's freshly harvested from the garden, you may be able to skip this step. You can also use this time to make sure you have even-sized asparagus spears that will look as elegant as possible when they're all done. Working with one spear at a time, lay a spear on a flat surface and hold the tip. You may be able to hold thicker spears in your hand, like peeling a carrot. However, thinner spears will bend under this type of pressure, so laying them flat on a work surface will make your job easier. Use a vegetable peeler or sharp paring knife to peel off the skin from the bottom half of each asparagus spear. You want to expose the lighter green and white part of the stems under the peel. Carefully repeat this step with all of the spears. Now your peeled asparagus should be beautiful, tender, and ready to cook in the recipe of your choice. Carefully prepped asparagus is tasty when sliced thin and used raw in salads. You can also prepare them steamed and dressed, on the grill, or roasted.